Now this is very weird indeed! 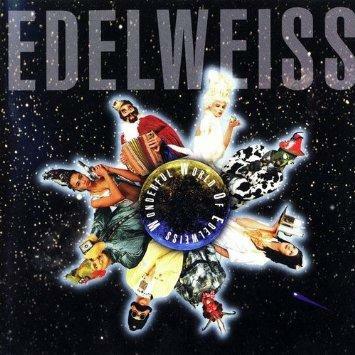 Edelweiss were an Austrian dance act who combined Abba, rap and yodeling to create the novelty dance hit Bring Me Edelweiss, which was an 80s one hit wonder in the UK, peaking at #5 in April 1989. It was also a Europe-wide #1. 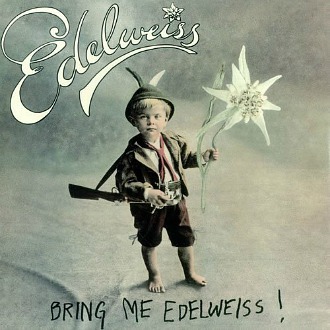 The band name Edelweiss is take from the title of a song from The Sound Of Music, a musical which my Mum must have watched a thousand times. Okay, maybe not quite that many times, but it sure seems like it! Apparently, the song was created after band members read KLF's book "The Manual". The song's chorus was borrowed from Abba's hit SOS (the lyrics were changed, obviously!) and also Indeep's Last Night a DJ Saved My Life. The band (if you can call them a band) also had a european hit with Starship Edelweiss which reached #1 in Austria. I'm just left wondering how the heck this reached number five? In 1992, the band's only studio album, The Wonderful World of Edelweiss, reached #11 in Austria and #91 in Germany. Singles released from the album were Starship Edelweiss, Planet Edelweiss, To The Mountain Top and Beam Me Up. The latter two single failed to chart anywhere.